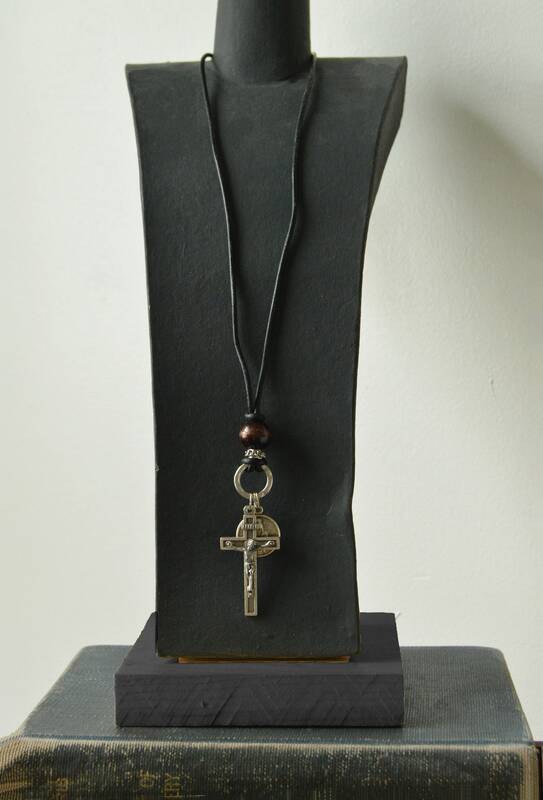 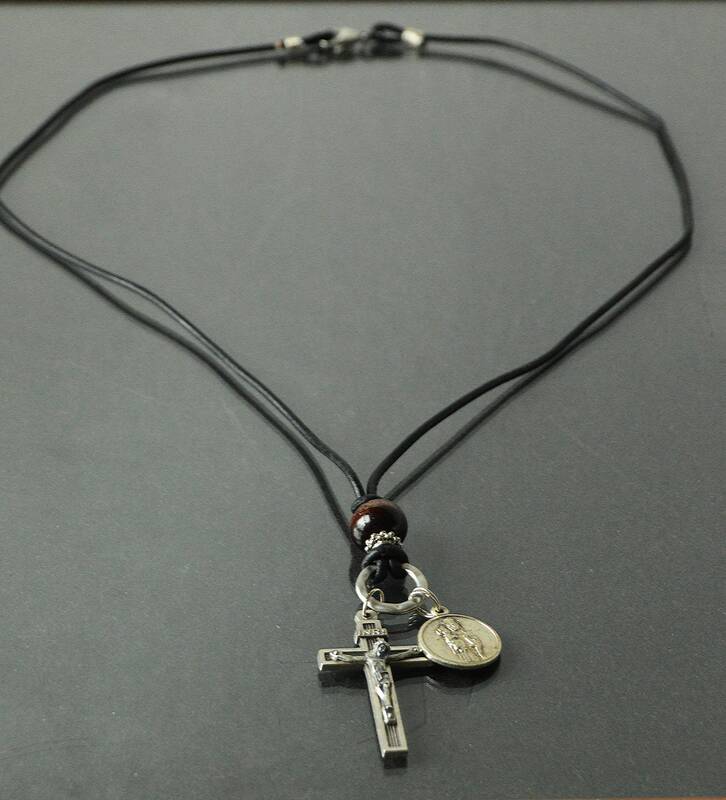 A Catholic men's black soft leather cord necklace in simple, earthy design. 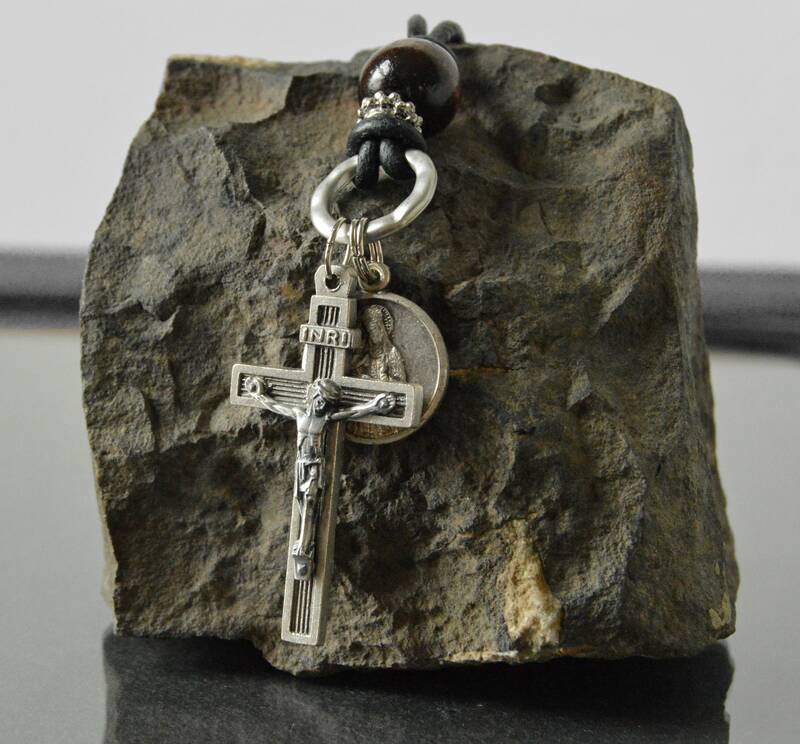 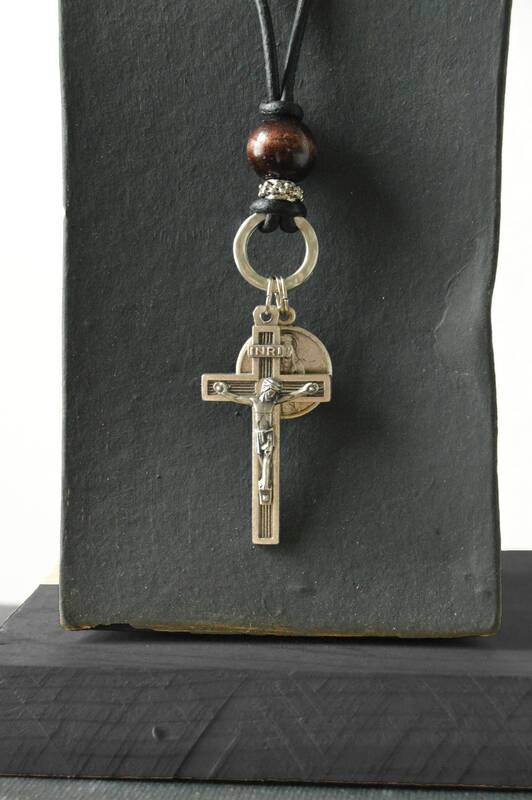 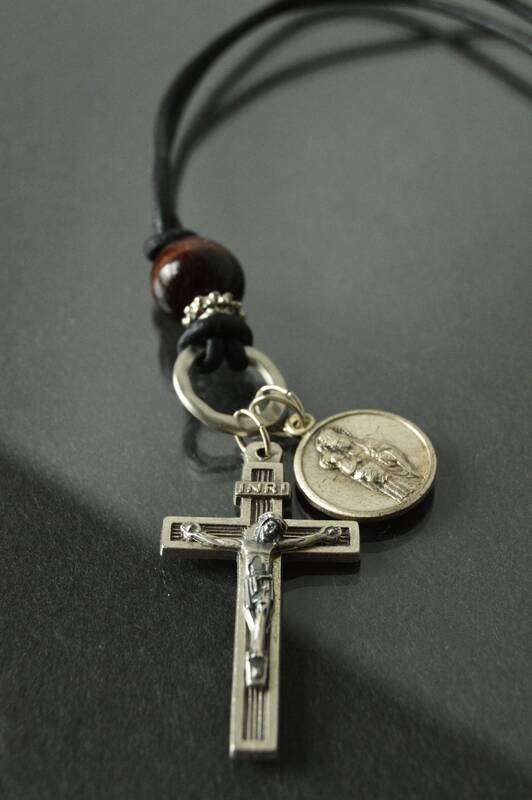 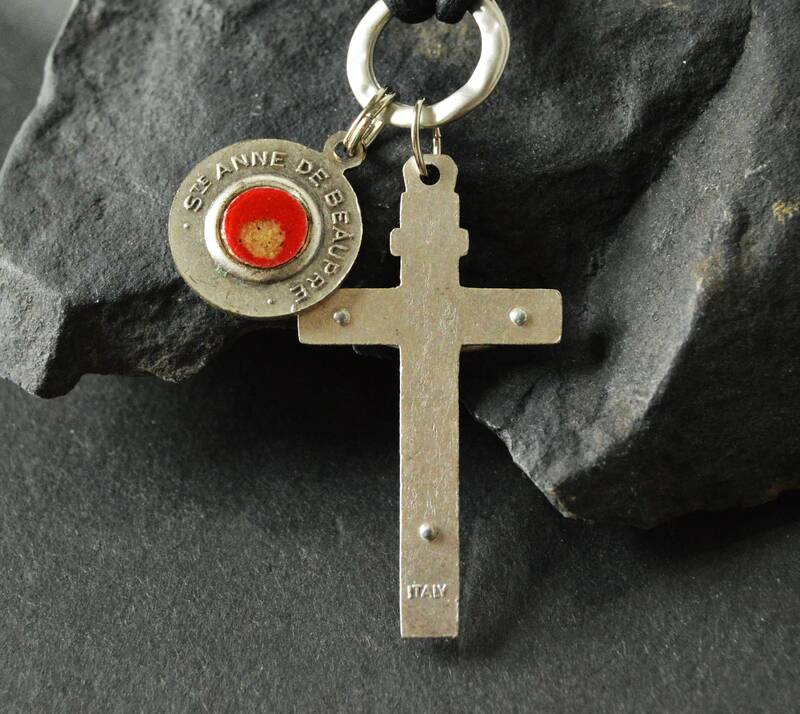 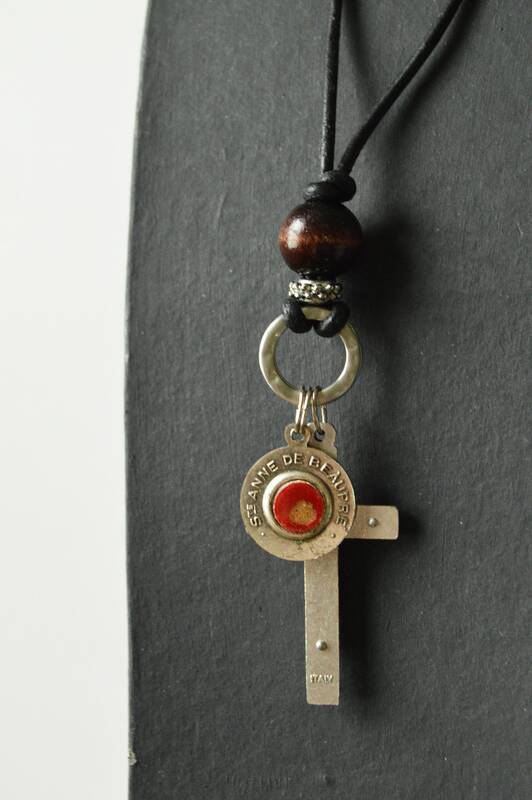 Accented by a dark wood round bead, an antiqued pewter hammered ring and an antiqued silver finished ring is an antiqued silver finished cross and a vintage Saint Ann relic medal. 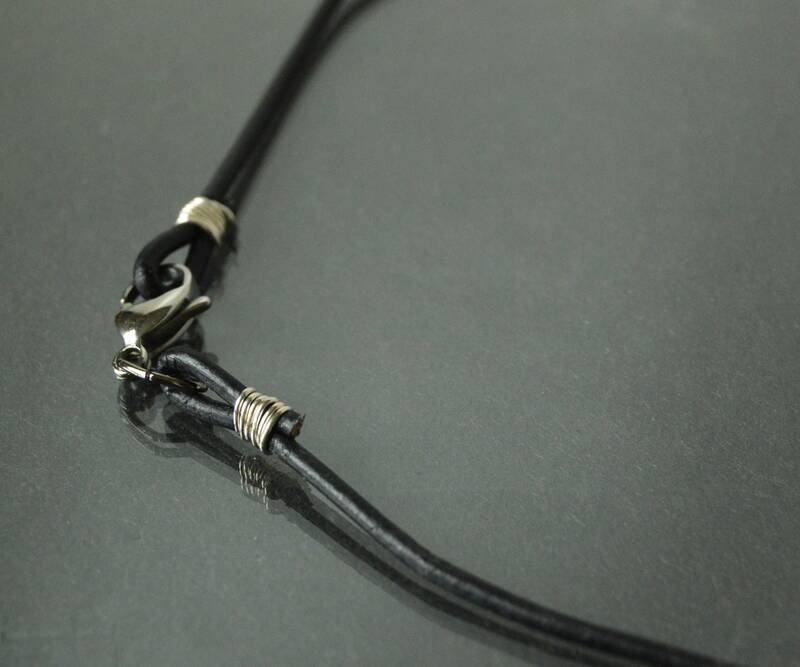 A sturdy stainless steel lobster clasp completes the design.